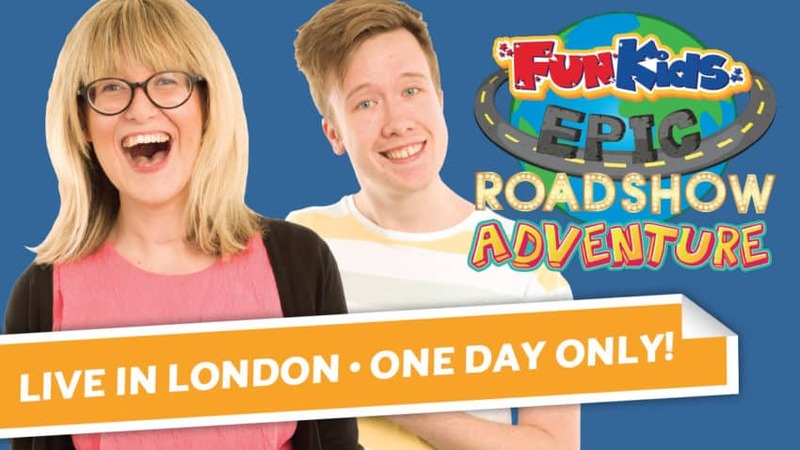 We have our own stage show, The Fun Kids Epic Roadshow Adventure – and it’s back for one day only in London! We’re going to be at the Underbelly Southbank Festival on 22nd April 2019 – that’s Bank Holiday Monday. The show starts at 1:15pm and the venue is right in the heart of London, just around the corner from the London Eye! Tickets start at just £9.50 each making it an affordable day out for all the family! In the show, Bex and Dan need your help to keep Fun Kids Radio on-air and to make the best radio roadshow ever. Oh, and they definitely need to not get fired by the big bosses who are sat in Fun Kids HQ, keeping a close eye on the audience figures! With stories, songs, and silliness aplenty, the Fun Kids Epic Roadshow Adventure is an interactive show for all the family brought to you by the award-winning national radio station, Fun Kids.